We celebrated our Grandson Noah’s 4th birthday yesterday. He is so excited that he can now tell people his age and hold up 4 fingers instead of 3! The day started off with a trip to the donut store with Mommy and Daddy before Dad had to head off to work. Next stop, home to feed baby and pick up Grandma for an excursion to the pumpkin patch. Noah’s Mommy started the tradition of taking him to the pumpkin patch on his first birthday and they’ve done it every year since. 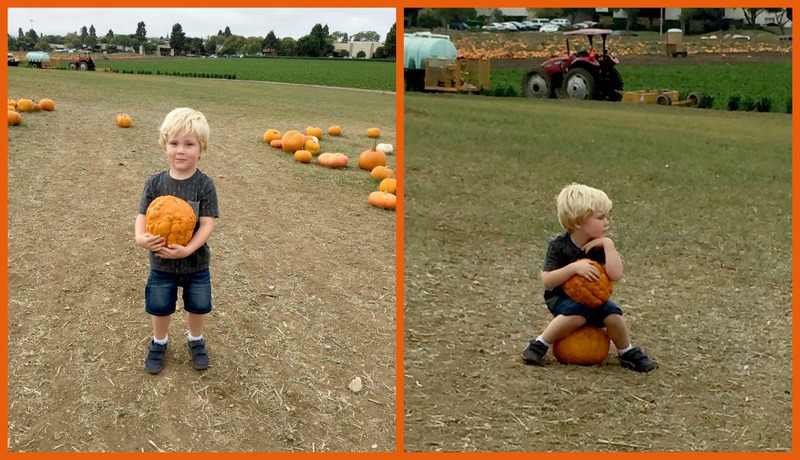 Being that it is exceptionally hot in California this year it felt more like a day to visit the beach rather than a pumpkin patch but Noah didn’t mind. A pumpkin is a pumpkin, despite the weather. Of all the beautifully shaped pumpkins, Noah picked the bumpy one! When we asked the lady at checkout what made the pumpkin bumpy, she informed us it was due to disease. Eww! Rachel and I looked at each other in disgust, but Noah had chosen that pumpkin from all the others and so it came home with us! As the fog rolled in the day began to feel a little more like a coastal fall day as we headed to the harbor to eat lunch and watch the boats on the water. And, as always, we hoped to catch a glimpse of a sea lion or two. 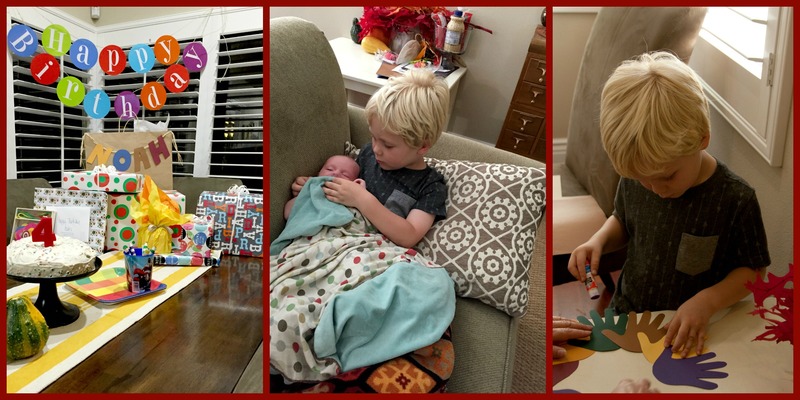 Once home, it’s hard to keep a four year old preoccupied when he has presents within clear view but we were able to keep him busy “babysitting” and making a craft until Dad and Grandpa got home from work and we could have pizza and open presents. Like so many boys his age, Noah “loves” dinosaurs and he likes to watch dinosaur videos on You Tube with Grandpa. His favorite is SURPRISE EGGS Dinosaur from The Engineering Family. This video has him giggling and laughing non-stop! For his birthday we all went together and got him a Zoomer Dino Robot (check out a review here). 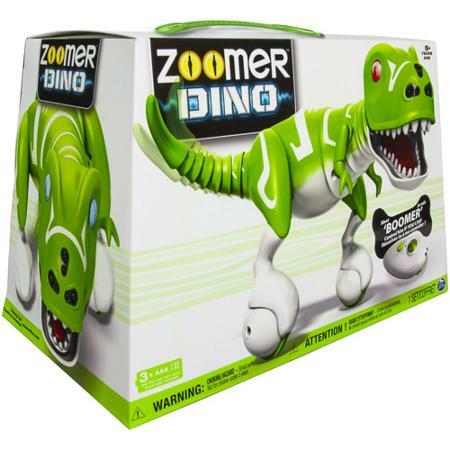 Zoomer comes with a controller but also has a motion detection system so he responds to hand commands. Once turned on, he makes sounds and moves on his own without the controller. Noah was so excited but wasn’t too sure how to respond when the dinosaur “chased” him! Click here for the Noah & Zoomer Video. He’s warming up to Zoomer and I’m sure they’ll have hours of fun playing together. We look forward to lots more October 14th trips to the pumpkin patch and fun presents. Love you Noah Willis! 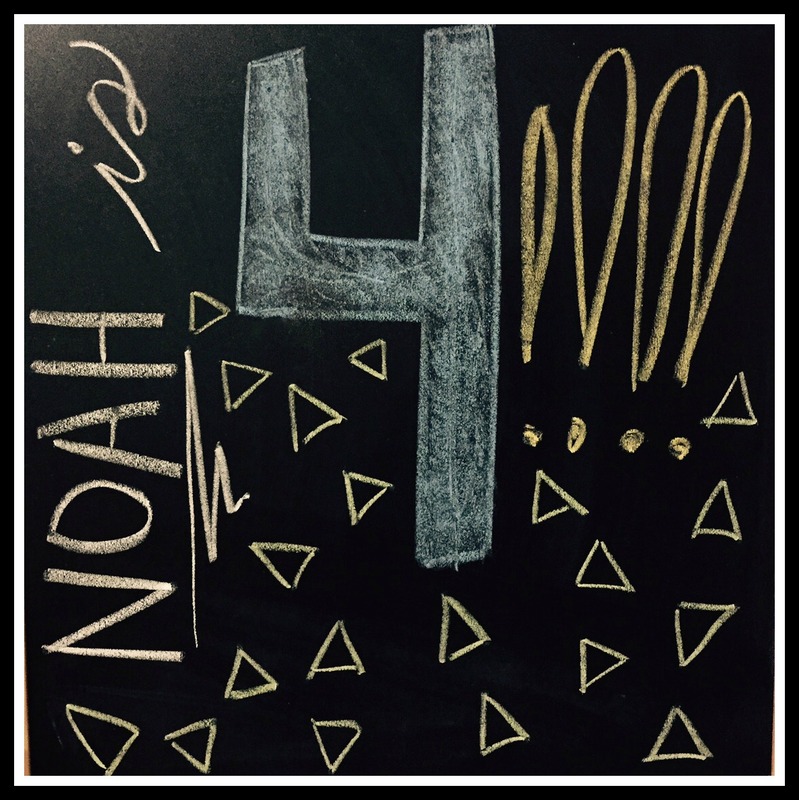 Happy Birthday to Noah!!! He’s so cute and I love his bumpy pumpkin! 🙂 Tell Noah we are happy that he likes our video! 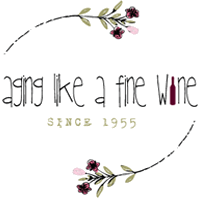 I just happened to stumble on your blog as I was doing a few google searches involving our name! Thanks for sharing our link!